SALT LAKE CITY — President Donald Trump delivered the State of the Union address Tuesday night, and there were multiple opinions on Trump’s words, and the speech itself, in the immediate aftermath. Trump focused on a number of topics in his speech, drifting from discussions on illegal immigration, the U.S. military, and plans to combat HIV and AIDS. He also made pointed remarks about abortion and how the U.S. will never be a socialist country. Trump also made a case for unity in his speech. A number of columnists, opinion writers and editorial boards wrote about Trump’s speech. Here’s what they wrote. 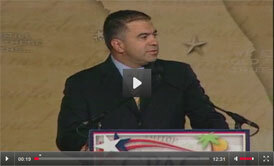 David N. Bossie wrote for Fox News that he feels optimistic that Trump will work with Democrats.